Cost of living in Ukraine varies widely depending on the region and the city. Naturally, large cities such as Kiev & Odessa have a much higher cost of living than smaller ones such as Lviv, Ternopil, Dnipropetrovsk, Donetsk, Lugansk, Ivano-frankivsk, Nikolaev or Kherson. Rural areas are even cheaper, also with much lower costs of labor. 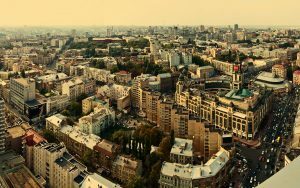 Overall, Ukraine has a relatively low cost of living, especially if one is able to replicate a Western salary while living here. According to recent scores, Ukraine was ranked around 70th most costly place on the cost of living globally. A student will need to have about $150 to $ 200 per month available for living costs, above the cost of your tuition. If you are considering coming to Ukraine for a prolonged period of time, you may want to consider using our long term rental assistance program or if you are staying a few days to a few weeks, you could consider our short term fully furnished apartment rentals. Ternopil,Lviv,Ivan-Franskii is cheaper than Kiev for the most part, particularly in regards to apartments (both rentals and sales) except for rentals during July & August when many people go for vacations in the city during the summer months. Real estate as a rule of thumb is about half as expensive as that of Kiev and services and products are typically 15%-20% less expensive than Kiev. If you are considering coming to Lviv or Ternopil for a prolonged period of time, you may want to consider using our long term rental assistance program or if you are staying a few days to a few weeks, you could consider short term fully furnished apartment rentals/hostels.